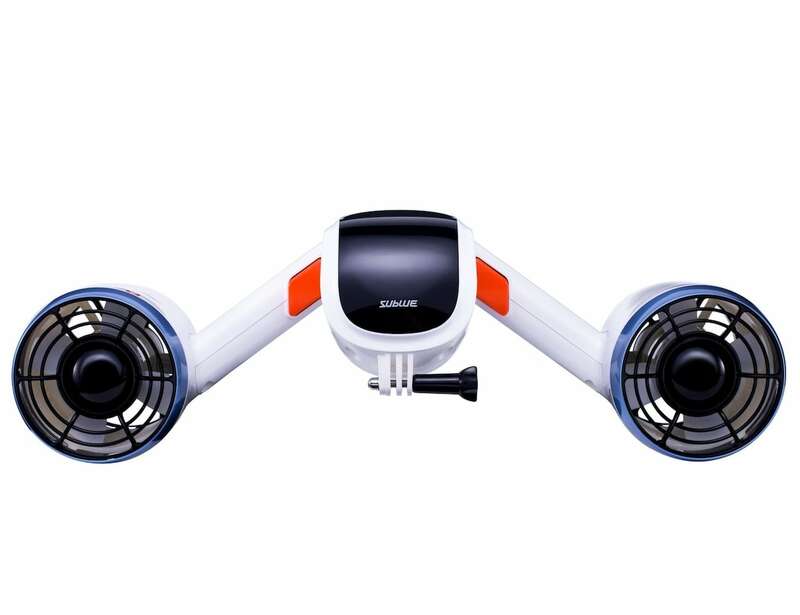 Quickly move through water with the Sublue Shark MIX Compact Underwater Scooter, featuring a dual propeller system. 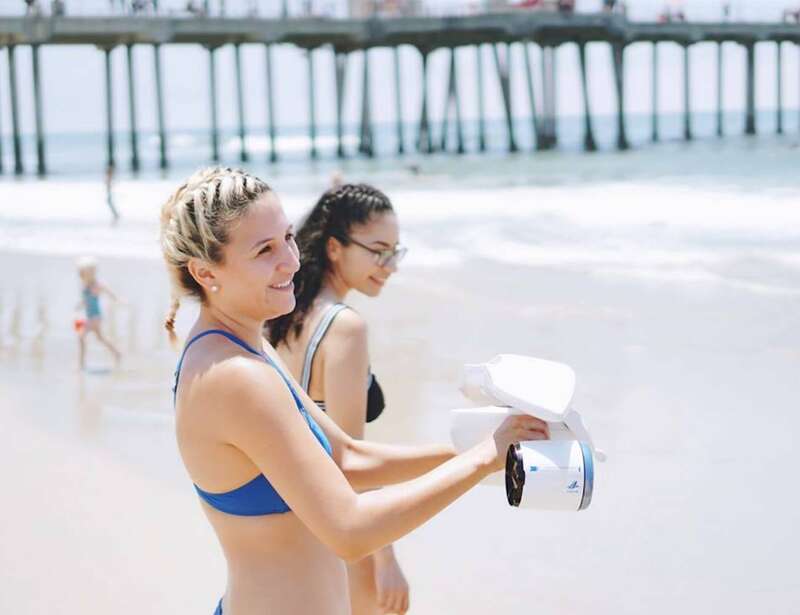 Quickly move through water with the Sublue Shark MIX Compact Underwater Scooter. 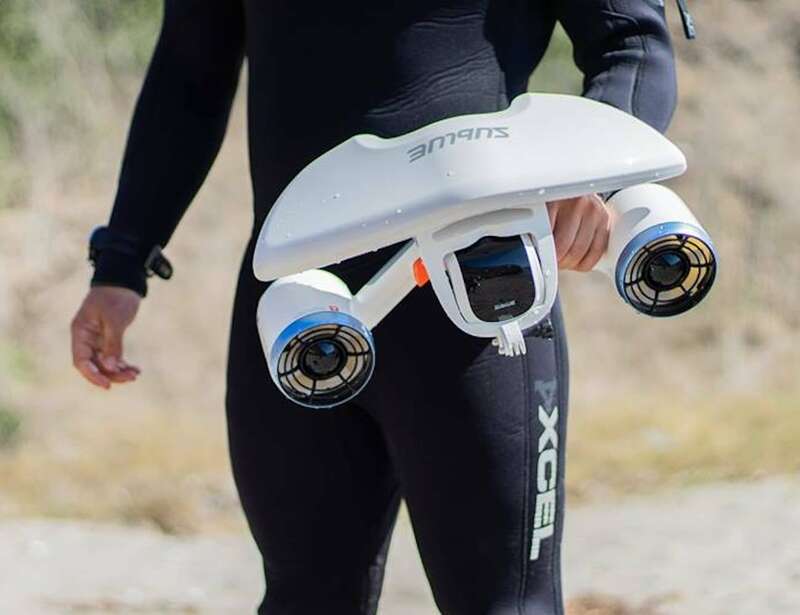 Featuring a dual propeller system, this gadget allows you to travel up to 3.45 mph underwater and dive to 130 feet. 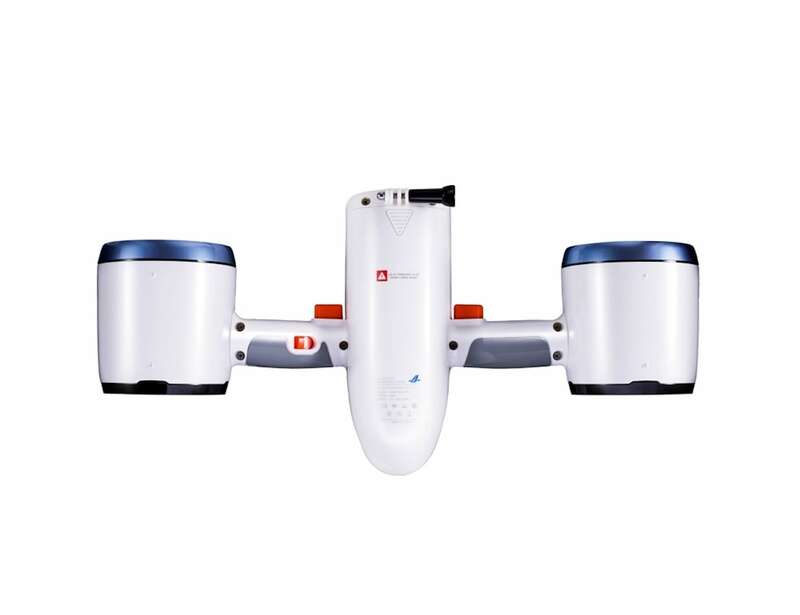 Additionally, the total thrust of the two propellers is 17.6 pounds, which helps you feel like a fish swimming freely in the water. 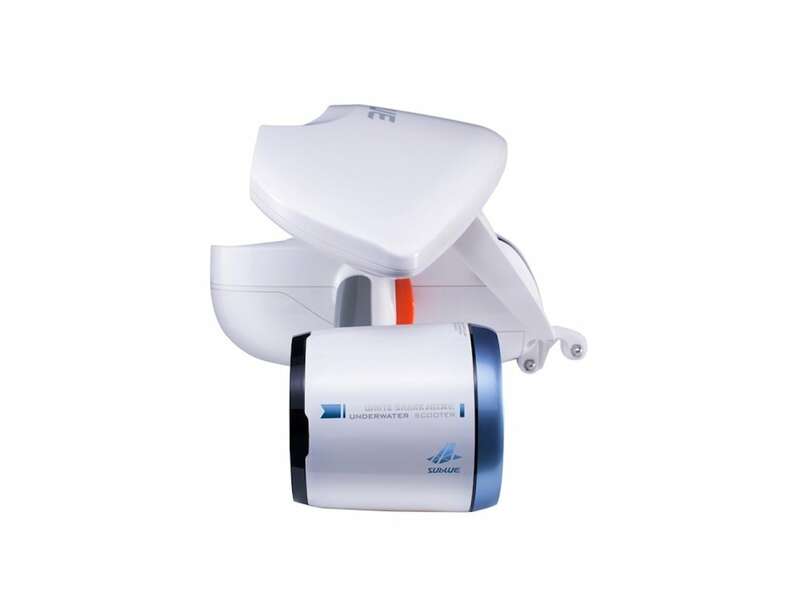 With a 50dB ultra-silent mode, the Shark MIX won’t disturb any underwater creatures or affect your experience. 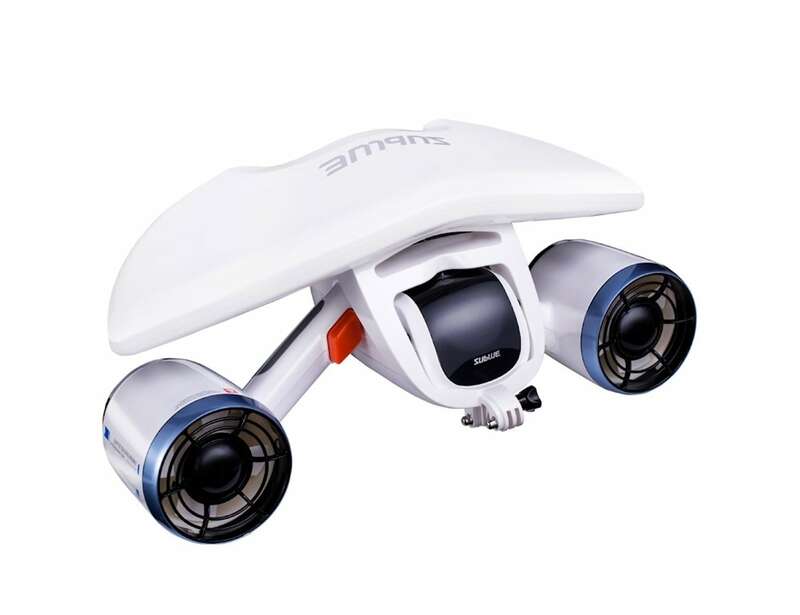 The design of the small water scooter also reduces flow resistance, making it easy to change direction in the water. 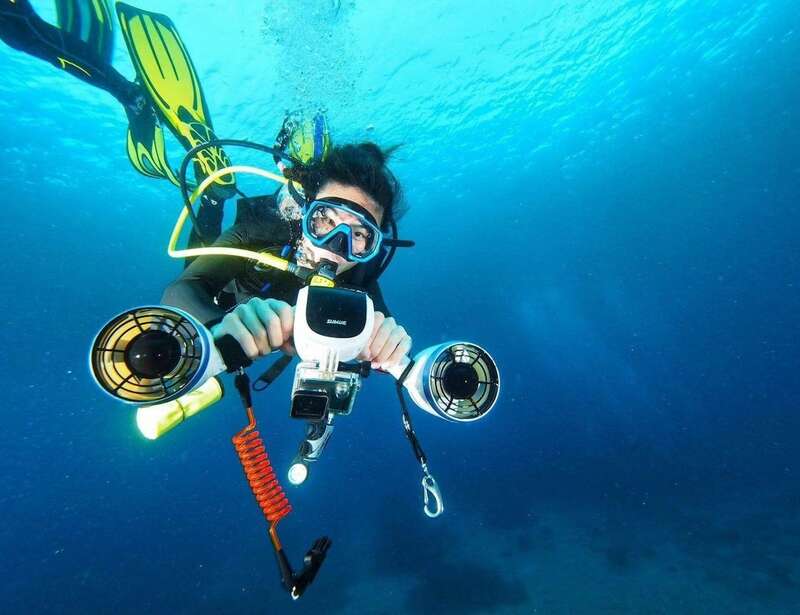 To capture your underwater adventure, just attach your GoPro to the integrated mount. Offering a one-hour battery life, Shark MIX gives you more than enough time to enjoy the underwater world.